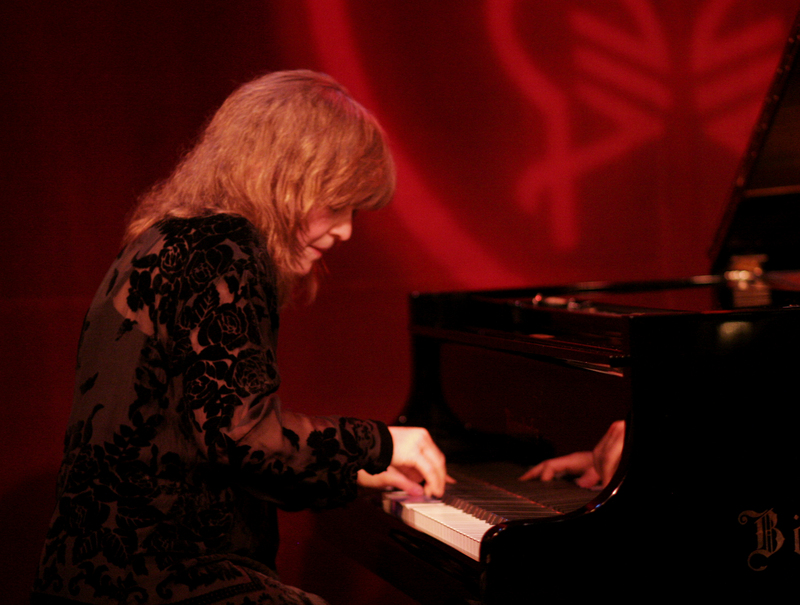 Marilyn Crispell lives in Woodstock, NY, where she currently teaches at the Creative Music Studio. Crispell graduated from the New England Conservatory of Music and studied classical piano and composition. Some of her early inspirations include John Coltrane and Cecil Taylor. She has worked in groups such as the Anthony Braxton Quartet, the Reggie Workman Ensemble, the Barry Guy New Orchestra, the Henry Grimes Trio, Quartet Noir (with Urs Leimgruber, Fritz Hauser and Joelle Leandre), and Anders Jormin’s Bortom Quintet. She has also been a guest in the London Jazz Composers Orchestra and has performed with the NOW Orchestra. Crispell has directed and taught at the Vancouver Creative Music Institute and the Banff Centre International Workshop in Jazz. She has lead music residencies at the Atlantic Center For the Arts in Florida and the Conservatory Manuel de Falla in Buenos Aires. She has also received numerous grants and awards for the arts including the New York Foundation for the Arts fellowship grant, a Mary Flagler Cary Charitable Trust composition commission, and the Outstanding Alumni Award by the New England Conservatory. Crispell continues to teach improvisational jazz workshops and gives lectures at universities. She presently works in groups and plays solo.